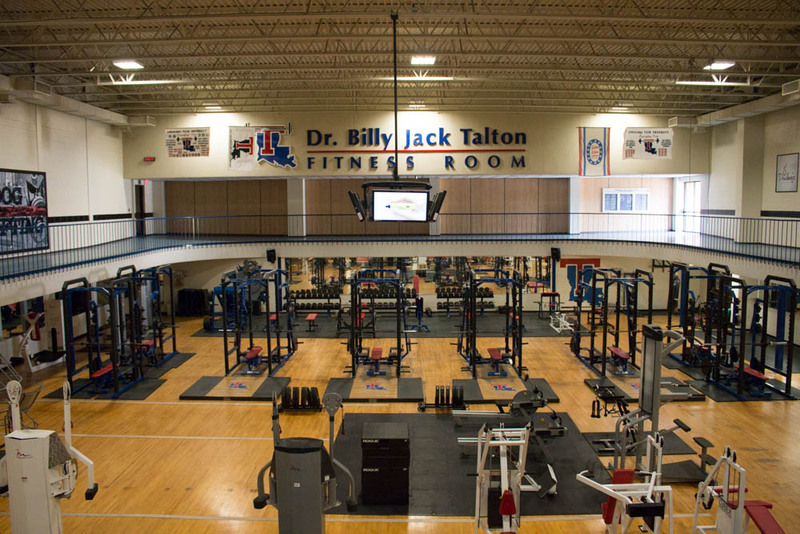 Located downstairs, the Billy Jack Talton Fitness Room is equipped with power racks; free weights; machine weights; and cardio equipment, including treadmills, recumbent bikes, ellipticals, rowing machines, and a stair climber. The upstairs fitness area overlooks both the indoor and outdoor pools. The area is equipped with lighter free weights, machine weights, and cardio equipment. The aerobics room is used for our group exercise classes. This room can also be reserved for private use, please contact us at (318) 257-4634.